As wildfires scorched Southern California in October and November 2007, the prevailing images that emerged from the news coverage were of the million-dollar homes, many perched precariously, yet grandly, on hillsides, seemingly standing sentry as the flames advanced to consume them. As these real-life dramas played out on national television, other communities were also battling to save their families, their homes and their land, but largely absent the media coverage. “There are no words, no pictures, no video that can describe — that can honor — what we saw. Many of the things we saw weren’t covered by the news, so there was this sense of being isolated,” says Diana Ortiz, who will be graduating with her master’s degree in counseling and human development from George Mason University (GMU) in Fairfax, Va., in May. Ortiz was one of 16 graduate counseling students — eight apiece from GMU and San Diego State University (SDSU) — recruited to be members of a Counselors Without Borders team that mobilized to help underserved communities in San Diego County in the wake of the wildfires. The team, led and supervised by American Counseling Association members Fred Bemak and Rita Chi-Ying Chung of GMU and Carol Robinson-Zañartu and Juan Camarena of SDSU, focused on providing culturally responsive counseling, mainly in migrant communities and on American Indian reservations, seeing approximately 1,220 individuals in a week’s time. 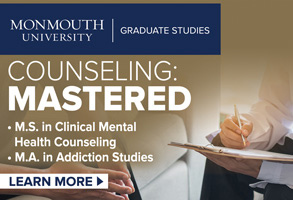 Bemak, who initiated the trip, established Counselors Without Borders as a pilot project for supervised graduate students to provide culturally sensitive counseling. A Counselors Without Borders team previously deployed to Mississippi to provide services to those affected by Hurricane Katrina (see “Counselors without borders,” January 2006). That trip to Mississippi, says Chung, led to the creation of a culturally sensitive disaster response model that was used to train the students for their experience in California. Students were hand-selected for the team based not only on their overall counseling skill, but also on their multicultural awareness and, in many instances, their ability to speak other languages, Chung explains. The team included American Indian students, as well as students who spoke Spanish, Arabic, Chinese and Vietnamese. In some cases, the counseling students and their supervisors drove for hours to reach the communities in which they served. Robinson-Zañartu, chair of the SDSU Department of Counseling and School Psychology, explains that San Diego County, where eight separate wildfires started between Oct. 21 and Oct. 24, is roughly the size of Connecticut. And while the county includes the large city of San Diego, it is also home to 18 American Indian reservations, all very rural in nature. “We were driving to some of these underserved areas, and there was no sign of (the Federal Emergency Management Agency) or the American Red Cross,” Chung confirms. “It was heart-breaking.” There were also reports of some organizations and localities turning away migrant workers for services because they could not produce documentation. “You can imagine the migrant communities not feeling welcome at all,” Chung says. Henry spent much of her time on the reservations working with middle and high school students, including three days at the All Tribes Indian Charter School. Some of the students had lost homes in the fires, while others had extended family members living with them because their relatives’ homes had been destroyed. The students were very concerned that a wildfire might claim their school as well. Many of the students had been kicked out of other schools, Henry explains, and the All Tribes Indian Charter School represented the one place where they still felt accepted and understood. Similarly, team members working with the Head Start programs sometimes sat in the sandboxes and played with the children. As the kids began drawing pictures in the sand, Robinson-Zañartu says, “We would ask, ‘What does this remind you of?’ It was a real low-key way to establish rapport.” The counselors would engaged parents and staff members by talking with them on the playground benches. While the Counselors Without Borders team was successful in reaching out to communities that may have otherwise gone overlooked, Chung says it was equally important to ensure that these communities had access to counseling resources after the team left. The counselors handed out a large amount of Spanish-language literature in migrant communities detailing where people could turn for long-term support. Still, the prospect of leaving proved difficult for many team members. When a GMU student counselor went to an elementary school to say goodbye, two young girls whom she had helped clung to her desperately and cried. Chung told the student counselor that she needed to perform some type of closure exercise with the girls. The counselor then sat with the other girl and, as they drew one another pictures, talked about what this experience had meant to both of them. As they continued talking, the counselor started developing a new support system for the girl, calling other children over and asking if they could relate to what she was feeling. The others started talking about their own experiences with the wildfires, helping the little girl realize she wouldn’t be alone after the counselor left. Before long, the girl exchanged drawings with the counselor and quickly ran off to play with her new friends. Chung hopes the Counselors Without Borders model will inspire other counselor education programs to develop similar projects. “It’s one thing to have classroom learning. It’s another thing to be out in the field, and the demand is there,” she says. Last June, Counseling Today reported on efforts by the Oregon Coalition for Consumer Protection and Choice in Mental Health Care to persuade state lawmakers to address issues related to the quality and availability of mental health services. The legislation being pushed by the coalition (H.B. 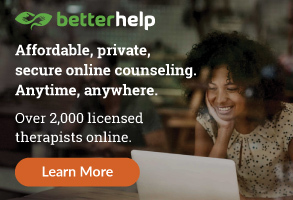 2687) urged consumer protection against unlicensed and unregulated mental health care providers who set up practice and call themselves counselors. It also pushed for third-party reimbursement for licensed professional counselors and licensed marriage and family therapists. Unfortunately, after earning approval by the Oregon House, the bill didn’t make it through the state Senate Ways and Means Committee. Now, however, after a promising revision to the legislation, an exposé by the state’s largest newspaper and some strategic maneuvering, the coalition, composed of members of the Oregon Mental Health Counselors Association, the Oregon Counseling Association and the Oregon Association for Marriage and Family Therapy, may finally have the support it needs. In November, the Oregon House Committee on Human Services and Women’s Wellness selected the revised Consumer Mental Health Protection and Choice bill (formerly H.B. 2687) as its only bill to send to the House floor. Because of the time constraints involved with the supplemental session of the Oregon Legislative Assembly this month, legislators restricted themselves to a relatively small number of noncontroversial bills that were supported by a committee, says coalition member and licensed professional counselor Mary Lou Brophy. Improved consumer protection: State boards should verify the qualifications and regulate the practice of mental health care providers, including unlicensed providers. Currently, there is no safety net to protect the public against fraudulent, unqualified business people working or promoting themselves as “counselors.” Offenders will face a $2,500 civil penalty. LPCs and LMFTs are fully qualified: The required training for LPCs and LMFTs meets or exceeds that of other professionals in the mandated provider pool. Therefore, LPCs and LMFTs should be compensated equally. Current Oregon law already requires insurers to pay for mental health services provided by physicians, psychologists, clinical social workers and nurse practitioners. Mental health needs are going unmet: Because LPCs and LMFTs are currently being discriminated against and not allowed third-party reimbursement, public access to mental health services are significantly limited. Insurance company provider panels have too much power: Insurers trump state laws and professional licensing boards by solely determining who is and is not competent to provide mental health services. By restricting access to mental health care via provider panels, insurers are, in effect, restricting the supply of counselors and therapists. Late last fall, Brophy met with Rep. Suzanne Bonamici (D-Washington County), vice-chair of the House Consumer Protection Committee, and reviewed a feature article and subsequent editorial and letter that appeared in The Oregonian, the state’s largest newspaper. The initial article focused attention on the Oregon Coalition for Consumer Protection and Choice in Mental Health Care’s cause by reporting on several “counselors” (two being social workers and one an LMFT) whose Oregon licenses had been revoked, but who were still practicing. The legislative activities of the coalition were also given ample coverage as the article investigated consumer vulnerability in mental health care. Brophy says the articles helped the coalition gain merit not only with lawmakers, but also with the general public and potential consumers. Adds Tolentino, “It’s been a long struggle for counselors and MFTs to get parity or vendorship in Oregon. Recently, the coalition has become more powerful and is now being recognized by the state Legislature and other mental health professional organizations.” However, not all of the publicity on LPCs and LMFTs has been positive or supportive. Several professionals currently mandated as mental health service providers under insurance plans have been vocal in questioning the scope of practice of LPCs and LMFTs. Tolentino believes this is a strategic approach to keep counselors from achieving parity. In December, Tolentino and other coalition members met with officials from the Oregon Board of Licensed Professional Counselors and Therapists to persuade them to defend counselors publicly and to back the coalition’s efforts for third-party reimbursement. In January, the board released a position statement saying that LPCs and LMFTs are working within their scope of practice and are qualified to diagnose and treat mental health cases. The board disseminated the statement to other mental health professional licensing boards, associations and agencies in an effort to erase any doubt about the qualifications of LPCs and LMFTs. Brophy adds that it’s vital for the profession as a whole for counselors to investigate and stay current on state policies that protect not only themselves, but also their clients. The Oregon State Legislative Assembly Supplemental Session commences Feb. 4. If the Consumer Mental Health Protection and Choice bill passes, the new law will have an effective enactment date of July 1. Q: You talk a lot about multiple income streams for a successful practice. In my practice, I have incorporated that concept and do traditional talk therapy, work with insurance and managed care companies, contract with employee assistance programs, give speeches on parenting and positive communication, and conduct a mood disorders support group. As I have learned, in order to keep my practice viable, I need to look toward the future. What new possibilities are emerging for 2008 and beyond? A: We do advocate that today’s counselor in private practice maintain multiple income streams to have a thriving practice. The practice of professional counseling is constantly evolving, and the counselor in private practice needs to stay informed of new trends, therapies and avenues to use and enhance their counseling skills. We have always recommended reading Psychotherapy Finances to stay abreast of what other entrepreneurial mental health professionals are finding successful. This monthly newsletter details income streams that have worked for others and highlights new trends in the field. A one-year subscription is $79. For more information, go to psyfin.com. One new avenue for professional counselors that seems to be gaining momentum is in the area of collaborative law. Collaborative law is designed so that the professionals most qualified to address the complex issues of divorce can provide services to families. It relies on clients, attorneys, mental health professionals and financial advisers to form a team, bound by a formal agreement. Instead of pursuing litigation, team members find creative solutions and maximize benefits to the family by using their communication, mediation and professional skills. 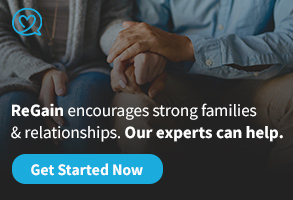 Collaborative law is a new way to help families deal with the pain of divorce and learn new ways to form healthier relationships post-divorce. The role of the professional counselor is to assist each of the parties to deal with the process more effectively. In addition to helping clients deal with the emotional aspects of the divorce process, the professional counselor also assists with identifying self-defeating behaviors, improving communication, prioritizing needs and goals, and maintaining a future orientation. Q: What do you think of asking clients to pay for materials used in sessions such as play therapy or art therapy where the materials are consumed? I use wooden blocks, small electric motors, wheels, art supplies and other materials. The kids I work with take the projects home, and I want to continue doing this because it really helps them with their self-esteem and problem-solving abilities. My problem is with managed care limiting my fee. The cost of these materials is coming out of the income of my small practice and adding to my overhead. A: You cannot bill a managed care or insurance company for materials. We conducted a short survey of counselors and found that some absorb the cost of these supplies, while others ask the clients to pay for consumables. Larry Freeman, the American Counseling Association’s director of ethics and professional standards, advises that a counselor must have such fees written into the initial informed consent document signed by the client and/or the parent or guardian before the first session. We acknowledge that such cost can add to the overhead of a small practice, and the decision to add this cost or absorb it should be made by the individual clinician. Our opinion is that it should be a one-time charge, outlined in the informed consent at the time of intake, and discussed with the client. Stay tuned for more information coming in the next few months regarding implementation of a required transfer plan, as addressed by the 2005 ACA Code of Ethics (Standard C.2.h., “Counselor Incapacitation or Termination of Practice”). We will be posting a bulletin on the “Private Practice Pointers” section of the ACA website (www.counseling.org) detailing the essential components. Finally, the Illinois Mental Health Counselors Association will be offering the workshop on June 8. More information is available at www.imhca.org. ACA members can e-mail their questions to Robert J. Walsh and Norman C. Dasenbrook at walshgasp@aol.com and access a series of “Private Practice Pointers” on the ACA website at www.counseling.org. In recent decades, the American Counseling Association has given voice to a variety of issues that have helped to shape our profession. However, two areas continue to challenge our efforts to represent all counseling professionals. One question with which we continue to grapple: Who is or should be part of the counseling profession? Historically, a “counselor” was anyone who claimed the title. More recently, licensure and certification have become the hallmark of counselor identity. However, these criteria are not yet universal. The identity issue remains problematic. How do we maintain the autonomy of specialization areas — such as school counselor, mental health counselor, marriage and family counselor and so forth — and concurrently integrate these identified groups into a unified counseling profession? “Autonomy” and “common identity” are not mutually exclusive concepts, but we have yet to find the balance in terms of counselor identity. 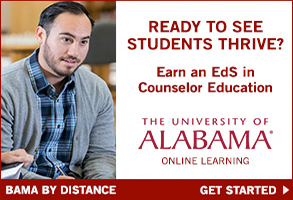 One manifestation of this debate is the move toward requiring future counselor educators to possess doctoral degrees specifically in counselor education rather than in related fields such as counseling psychology. By and large, opinions on this issue divide into two major camps. 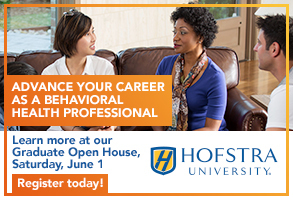 I have found that counselor educators and doctoral students holding or pursuing a degree in counseling or counselor education typically support this initiative, voicing the need for a more homogeneous professional identity. Conversely, counselor educators possessing doctoral degrees in related fields such as counseling psychology speak of the importance of professional diversity and inclusiveness and avoiding the restrictive identity policies of sister professions, such as psychology. Lacking the Wisdom of Solomon, no one has yet come up with a course of action to satisfy everyone. However, drawing from the work of Gregory Bateson, it is possible to appreciate both sides of the argument — the need for “inclusiveness” with “exclusiveness.” Bateson, a biologist by training, wrote extensively about the necessary qualities for maintaining the health of biological and social systems. (I highly recommend his book Steps to an Ecology of Mind.) He observed that a viable system (a cell, an ecosystem, a community or a profession) must maintain a clear boundary between itself and the outside environment. Without such a boundary, the system would lack integrity and eventually dissipate into the larger environment, ceasing to exist as a separate entity. However, Bateson also noted the importance of a boundary being “permeable” to allow for the exchange of new and essential material (nutrients or information, as the case may be). An overly rigid boundary characterized a “closed” and finite system — one that would eventually “atrophy and die” due to a lack of resources. While professional identity presents a major challenge, “diversity of opinion” is perhaps an even greater challenge for our profession. In recent decades, ACA has been at the forefront of examining important issues that impact our clients. In many respects, however, we have not expanded the conversation, but merely championed a particular set of beliefs and priorities. Truth be told, much of what enters into the collective “body of knowledge” in the behavioral sciences in general, and the counseling field in particular, reflects opinion rather than fact. There is certainly nothing wrong with stating opinion, but it should be clearly stated as such. Unfortunately, proponents of particular views often have little incentive in making such a distinction. Those who hold a differing opinion are often reluctant to express that view, lest they be held in disfavor, or even ostracized, by colleagues invested in a particular opposing view. The solution to this quandary is that, as scholars, we demand a greater level of accountability and accuracy in the dissemination of scholarly information. We need to do a better job of ensuring that debate includes all perspectives. Evidence of our shortfall in this area is the paucity of conservative voices and perspectives within ACA and the counseling profession. While labels such as “conservative” or “evangelical Christian” may, or may not, reflect the personal beliefs of a particular counselor, a very large segment of American society — and, consequently, many of our clients and potential clients — identify with these labels. This is no doubt an “inconvenient truth” for some, but it reflects the world in which we live and practice as counselors. If we are to become a truly diverse and inclusive profession, we must welcome all counseling colleagues “to the table” regardless of philosophical view, religious or political affiliation, or social priority, to the extent that expressed views do not advocate policies and actions that are illegal. To accomplish this, current ACA leadership will work to ensure that association policies remain inclusive. However, as an ACA member, you can play an important role by recruiting colleagues and encouraging them to become active members of ACA. Only through participation can we influence the future direction of the counseling profession.